One thing that can hold you back in life is getting caught up with “what’s best”. Some people have that mentality that if they can’t do it right, they won’t do it at all. While I understand that and actually apply that mindset in some aspects, diet and fitness is not one of them. We must always try to do OUR best, even if it’s not THE best – and a great example of this is with meal planning. Eating healthy whole foods ALWAYS trumps prepackaged foods. Period. However, if you aren’t able to shop, prepare, cook and pack the right food, the second best option becomes the best option for you. This is when low-calorie frozen dinners come in. There is no one who knows you better than you – and if you know you don’t have the time or patience to meal prep and count calories, then you may need to do prepackaged foods. Some people choose frozen dinners because it’s easier to track calories. Others choose frozen dinners because they don’t have the time (or talent) to cook. Whatever the case, you are doomed for failure if you are shooting for a diet solution that isn’t realistic for you. Maybe you are thinking “but aren’t frozen foods high in sodium”? Yes, they are higher in sodium than fresh foods, but so is canned food, boxed food, fast food and even gourmet food. Ironically, many people will shun frozen dinners due to high-sodium, only to drive through a fast food joint and pick up a meal that’s even higher in sodium just because there is no label on it to easily read and compare. Don’t be “that guy”. You know, the guy who wants to argue with me about high sodium foods and then I see him eating a “healthy sub” or dashing soy sauce on his healthy sushi rolls, consuming even more sodium than one frozen dinner. When I looked at sodium content in Lean Cuisines, most were all under 800 milligrams (which would meet the RDA if you are eating 3 meals a day). In order to get a better understanding of how sodium in frozen dinners compares with other foods, I pulled some random stuff out of my pantry (and also looked up some popular fast food items online). Take a look what I found. If sodium is a concern for you (you would know because your doctor would warn you about reducing sodium or you may have issues with swelling or family history of heart problems), most brands have low-sodium options (under 500mg). For those of you who need some low sodium options, see the last list below. Now that we got the sodium issue out of the way, let’s talk about macros. Before I begin, I should tell you I am not a nutritionist or dietician. 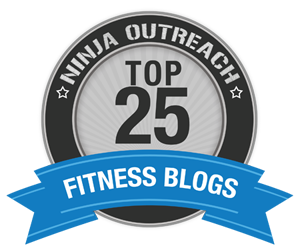 I specialize in fitness and I understand how to eat to lose weight, but I can’t address micronutrients and health needs. All I’m going to share today is what I do to stick to my caloric restrictions and nutrients I need based on my workouts. The first thing I look for in a frozen dinner is calories. I try to choose frozen dinners between 300-350 calories. I have found if they are too low in calories, I end up being hungry in no time. The next thing I look for is protein content. I try to get 1/3 of my calories coming from protein. So, if I get a 300 calorie meal, I want to try to get as close to 25gms of protein as possible. If it’s 250 calories, I’m shooting for 18-20gms of protein. Sadly, many frozen dinners have under 10-15gms or protein – and those meals stay at the store. The next thing I look for is fat content. I want a healthy amount of fat in my meal so the meal sticks with me and gives me the energy I need. If it’s too low in fat, I blast through the calories and get hungry fast. I shoot for 6-12gms of fat for a 300 calorie meal. If it’s too low in fat, I may even add butter, nuts or cheese. Lastly, if I am about to workout, I choose a dish with bread, pasta, potato or rice. However, if I’m eating at night and just going to sleep, I try to shoot for more veggies. The more prepared you are, the better success you will have even if you prefer to cook most of your meals. We always need some kind of back up plan. 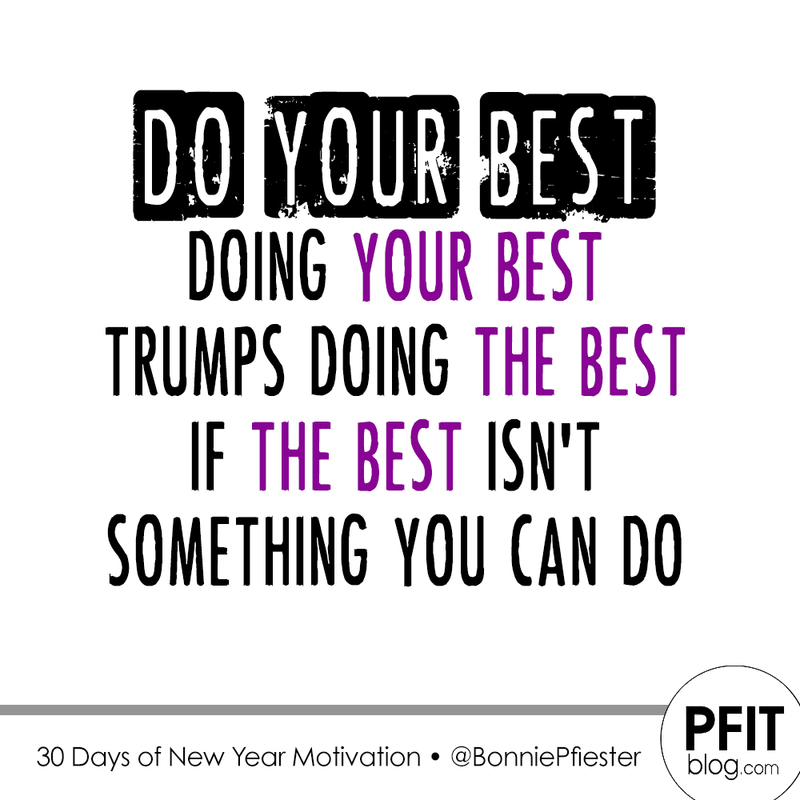 Remember, YOUR best is THE best every time! Here are 3 popular brands you see in most grocery stores. Wood Fire-Style BBQ Recipe Chicken Pizza – 20gms MY FAVORITE! & LOW SODIUM! Turkey Sausage Scramble – 18gms GREAT BREAKFAST OPTION! Lasagna with Meat Sauce – 18gms YUM! ADD PARMESAN CHEESE! Salmon with Basil – 19gms FISH! Pasta with Swedish Meatballs – 18gm STEVE LOVES THIS ONE! Chicken Pasta Primavera – 20gms LOW SODIUM – Only 390mg of Sodium! 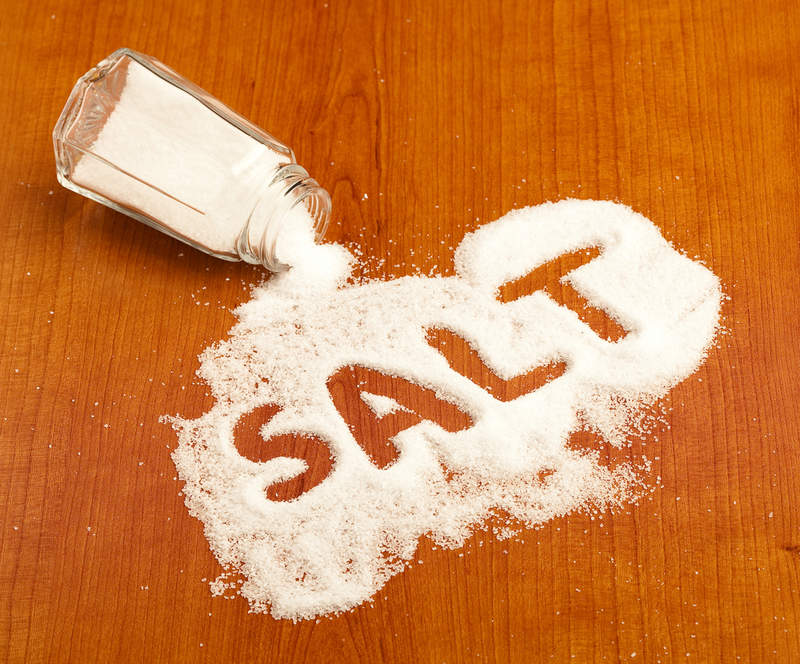 Government guidelines recommend people consume less than 2,300 milligrams of sodium per day. If you eat three meals a day, you’ll want to stay within 800 milligrams of sodium per meal. If you are eating 5-6 times a day, you could reduce that down to 500 milligrams of sodium per meal, allowing more room for sodium in snacks, protein bars/supplements and condiments. 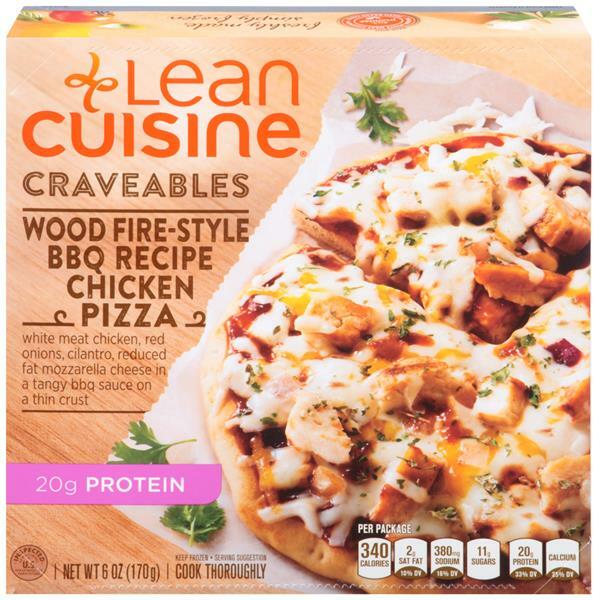 Lean Cuisine Pro: Easy search and lots of high-protein and low sodium choices (over 20 choices under 500mg). You can search meals by fiber, protein, carbohydrates, sodium, calories or fat. And, it shows the number you are looking for on each item in the list so you don’t have to click on each individual meal to get the information you want. Con: Overall, I really liked this site so I don’t really have a big con per say. However, it took a minute to figure out I could refine my search even more once I chose my category under product. Once you choose your preference of foods, like “high protein” or “no preservatives” foods, under “products”, you can sort by calories, fiber, protein, sodium, etc for a more detailed search. Smart Ones Pro: Most detailed search engine. You can also search for what you are looking for, but it took a few clicks for me to figure that out. Once I got to All Products, I saw the filters you can choose to find what you need. The PRO for them is you can actually fine tune your search and only look for products in a certain range, like 20-24gms of protein, instead of over 15gms or just a generic “high protein” search. You can even apply different filters so you get the exact calories, fat, protein, fiber and even ingredients you are looking for. Con: Not a lot of low-sodium high-protein choices. Complicated and hard-to-find search engine. You have to go to THIS PAGE to see the filters tabs. Healthy Choice Pro: Quick search engine. Their easy search makes it easy to find things quickly, but the searches are preset. For instance you can search for products based on ingredients, etc or nutrients like low carb under 45gms, whole grains over 8gms, sodium under 500mg, fiber over 5gms, calories under 300 calories, fat under 5gms and high protein over 10gms (which is not high protein to me). Con: Only 6 low-sodium meals. Harder to find nutritional info (more clicks) when searching. High protein search only includes foods over 10gms of protein (not that high). Bonnie is there an “elixir” to use when eating these frozen meals? Like drinking extra water, I already drink the maximum…. what would counter balance the excess sodium, I know my coach will light up if or when she views my food journal. I don’t plan to make this a regular part of my food menu, but do want to have a back up when I am running out of time or food, it would be a part of my “emergency kit” at work and at home. Excellent article. I forget that frozen meals can be worked into a busy schedule & keep on track! This is awesome! i really appreciate this information and your notes about the ones you like. Thank you! THANK YOU!!! I know they are not the best choice but when you are in a pinch, its great to know which meals are better for you. You are such a blessing!! THANK YOU!!!!!!!!!! i have been struggling with eating within my caloric range to lean out and not be hungry- i was missing the whole healthy fat part…im hoping it helps me going forward, im glad to see you mention it in the above article..that you actually will add fat to dishes. YES!! Definitely. Add avocado, nuts, oil, cheese, butter and peanut butter. If you are cooking a veggie, cook it in oil. Fats slow digestion and help you stay fuller longer – plus they help you have more energy while dieting. Good fats are very important! !